The pattern is Corrie by Sarah Ronchetti. I love Sarah’s designs - her Basketweave Rib Socks are some of my favorites and I can’t wait to try her Scout Base Socks soon. 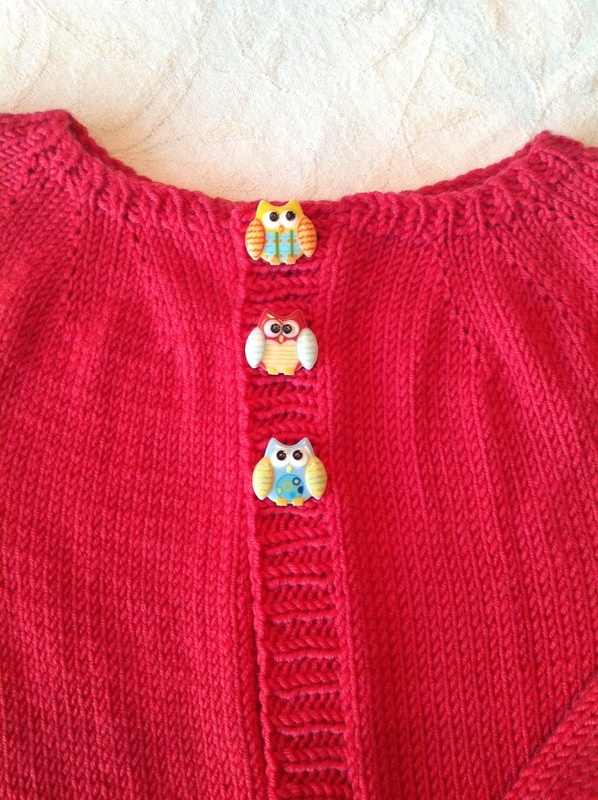 I purchased the buttons on Etsy from Moon Garden Stitches - aren’t they adorable? Yarn used was Sublime Extra Fine Merino DK from my stash. Anyway, Corrie came out really well and I’ll be shipping it off soon to my adopted granddaughter, whose name just happens to be Corinth (Corrie for short - how appropriate) and who just turned a year old a few days ago. I’ll have to rely on her mommy to give her several big hugs and smooches from me. It is SO CUTE!!! I seriously teared up and am so excited! I'll send you photos as soon as she gets it. That Corrie is adorable! I am a fellow fan of Sarah's designs. I hope to knit this sweater for Lucy. Right now I have Strokkur on the needles. It's my Winter Olympics project. No need to list all the other stalled project on my needles. Ha! Oh, the Strokkur pattern looks great--can't wait to see what colors you're using! You inspire me to try more color work! This is an adorable sweater! I love Sarah's patterns too! 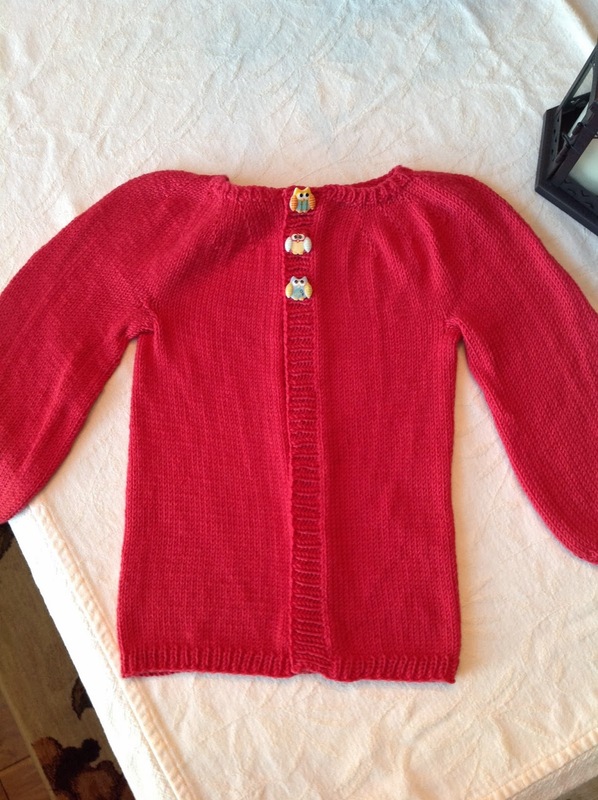 And, those buttons are the perfect way to adorn this darling sweater!